Meet Cozmo, a gifted little guy with a mind of his own. He’s a real-life robot like you’ve only seen in movies, with a one-of-a-kind personality that evolves the more you hang out. New for 2018, check out Cozmo in his Limited Edition finish. He’s the same robot, just with a dazzling blue exterior. The perfect complement to his, mostly, dazzling personality. 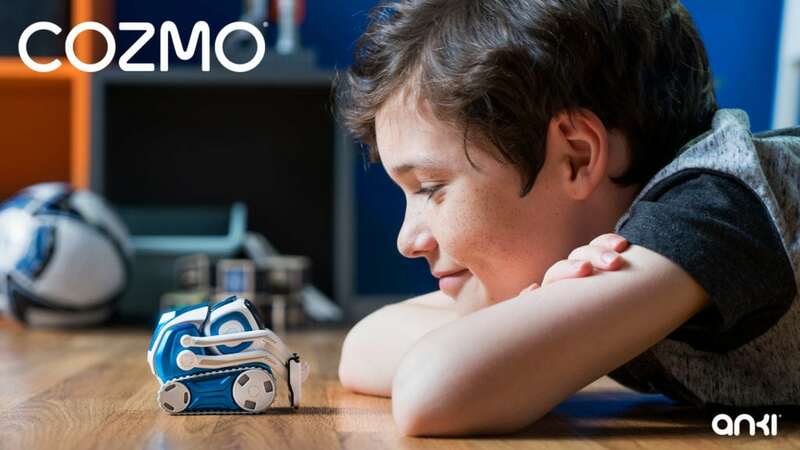 From our NAPPA team: Cozmo is a fun robot buddy that your kids will enjoy programming and then hanging out with. He is all personality!